A typical red brick commercial building establishing shot in downtown Boston. 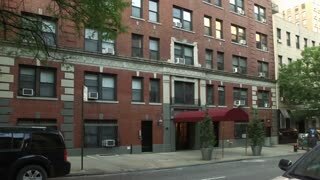 A daytime establishing shot of a typical Manhattan or New York style red brick apartment building. A daytime exterior (DX) establishing shot of a typical old red brick school building entrance. A daytime side view exterior establishing shot of a typical red brick school building in a southern American city. A daytime exterior establishing shot of a typical red brick apartment buildings on a sunny summer day. A daytime exterior establishing shot of a typical red brick apartment building on a sunny summer day. A daytime exterior establishing shot of a typical Manhattan intersection red light. Warehouse-style buildings in the background. A daytime summer establishing shot of a typical red brick school building in a small town. American flag waving on flagpole in front. A daytime exterior establishing shot of a typical red brick apartment building with fire escapes along the side. A daytime establishing shot of a typical New England red brick apartment building. 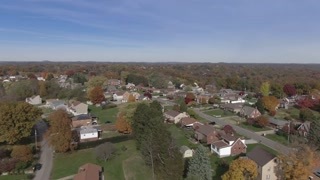 A rising forward aerial flyover establishing shot of a typical Pennsylvania residential neighborhood in Autumn season. Pittsburgh suburbs. Flat picture profile.